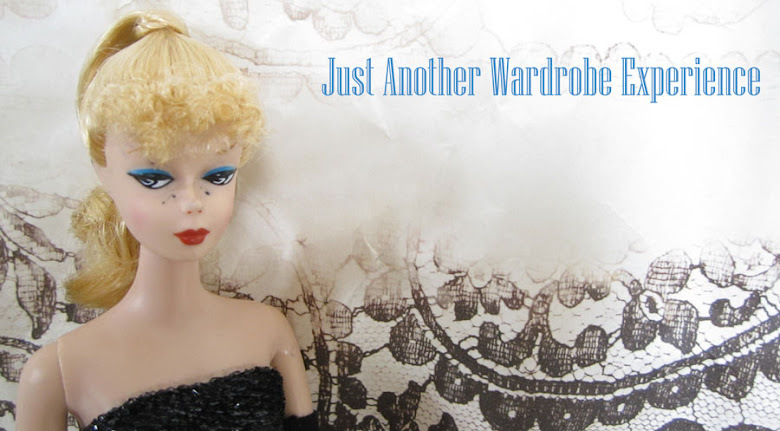 just another wardrobe experience: Look, It Is Her Wearing Pants Again! Yep, I think I'm going to need to get to an H&M. This outfit is fabulous. I love the color of the pants paired with the sweater and its color. I never managed to find any pants like these at H&M, but I did just get a pair from Asos that I think are almost as nice! They need a little tailoring, but I'm really excited to get a chance to wear them. 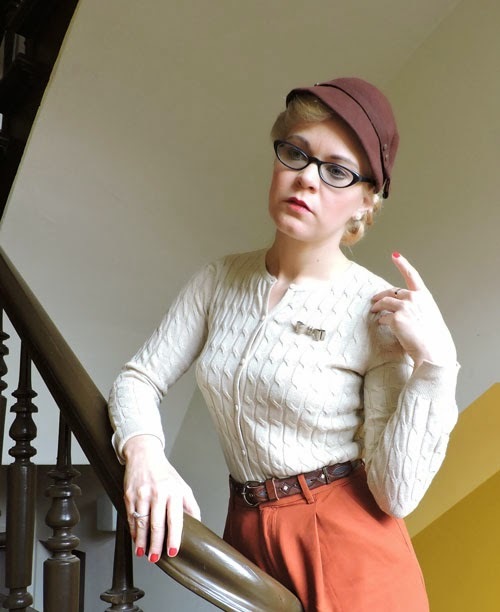 I'm definitely going to have to borrow some of your styling tricks - I love the small gauge sweater and 50s cloche with it, just the right balance of masculine and feminine. These pants look awesome on you. They're such a great neutral but not quite neutral color. I really like the buttoned up cardigan worn with them too. Such a fantastic outfit and colour on those pants. It's like coral and pumpkin had a baby and that's the resulting hue. Love!!! 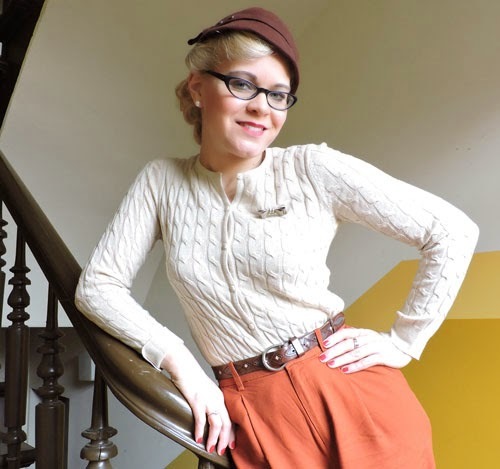 I've been stalking eBay like mad since your previous post about these great high-waisted 40s style pants, but haven't found any yet (and soooo annoying, H&M doesn't sell online in Canada - why?!!!). They're going on my long term search list, I promise you. This area you are taking photographs has great light!! I would love to see your outtakes where people are coming by and disturbing your artistic moments :)) You find the best things at your flea markets! I agree. Flea markets are treasure hunts. Obviously you find lots of treasures, as evidenced by this post. Very chic and sophisticated! Thank you for sharing with Hat Attack!